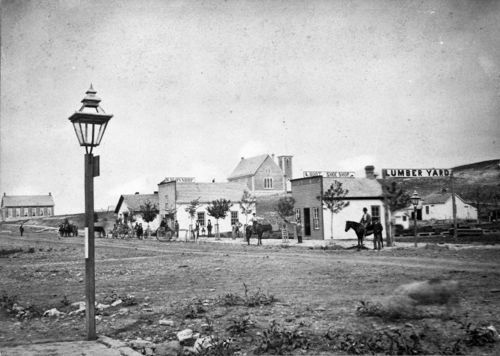 A photograph showing Main Street in Council Grove, Kansas. Visible in the photograph are carriages and people on horseback in front of a boot and shoe shop, lumber yard, blacksmith shop, and a wagon shop. The Congregational Church is visible in the background.